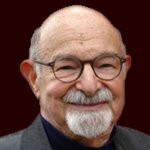 Carl Steinitz's interests are reflected in his teaching and research on landscape change, methods of landscape analysis, visual quality, and landscape planning and design. His courses have included Theories and Methods of Landscape Planning, a seminar on Visual Landscape, the Third Semester Core Studio and annual Studio Options. His research is devoted to improving the methods by which planners and designers organize and analyze information about large land areas and how they make major design decisions. In 1984, he received the Outstanding Educator Award of the Council of Educators in Landscape Architecture; he also received the 1996 Distinguished Practitioner Award from the International Association for Landscape Ecology. He was awarded an honorary professorship in 1987 by the Beijing Forestry University. 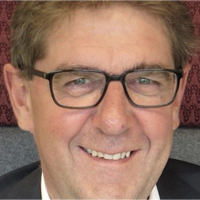 Henk is Board Member of the Amsterdam ArenA and specializes in facility and project management, preparation of project plans, maintenance concepts and planning. He manages the sustainability program which results in a carbon neutral stadium in 2015. As consultant facilities and infrastructure Amsterdam ArenA International Henk is involved in various international consultancy assignments, such as: FIFA World Cup stadiums 2014 in Brazil, Salvador “Itaipava Arena Fonte Nova’’ and Natal “Arena das Dunas’’. Porto Alegre, Arena Porto Alegrense of Grêmio FC also in Brazil. Qatar, FIFA World Cup 2022, Stadium FC Shaktar, Donetsk in Ukraine, Stadium Spartak Moscow, Moscow in Russia, Olympic Stadium, Berlin in Germany and Multi-purpose Hall and Olympic Stadium, Amsterdam in the Netherlands. Henk holds his degree in Business Science Electrical Engineering (1981). Before joining the Amsterdam ArenA, Henk worked for the City of Amsterdam as Facility Manager at the ‘Stopera’, City Hall and Opera House. 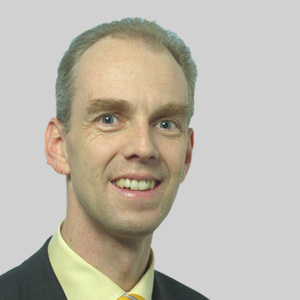 Henk has been involved in the startup of facility management operations and leading of facility department. Ted Lamboo joined Bentley in 1994 and now leads the company’s global initiative to develop new markets and partnerships in the data capture of existing assets and infrastructure, leading to the availability and use of reality models in the as-built world. 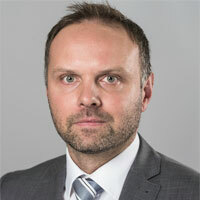 In his previously held positions with Bentley, he served as Bentley’s senior vice president, infrastructure owners, senior vice president of civil and geospatial global operations, senior vice president of international operations, president of Bentley Asia/Pacific, and vice president of sales for Bentley Europe, Middle East, and Africa. 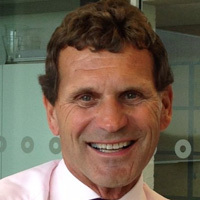 Prior to joining Bentley, Ted served for 13 years at Intergraph Europe, the European headquarters of Intergraph Corporation. He holds a degree in geodetic engineering from the University of Utrecht in the Netherlands and several post-graduate diplomas in computer engineering and development. "BIM is for experts only". "Everybody knows that re-work will make it more expensive". "Using as-built data is difficult and expensive". "3D data is useless as it cannot be printed on paper". "We always did it this way". "While we are sending our avatars into virtual realities to meet our friends, the construction industry is still working like the Egyptians when they build their pyramids". Those are only a few of the prejudices one hears when talking with people, inside and outside the AEC industry, about adopting new technologies. This presentation will demonstrate why this is not true and how using the latest reality data technologies will help to unleash BIM from the boundaries of design offices and 3D CAD experts. Capturing reality data has become so affordable, easy to use and fast that capturing every step of a construction is within everyone´s reach. Designing based on accurate and reliable as-built data has become easy and integrates smoothly into established BIM workflows. Continuous 3D monitoring and quality control can be accomplished at the construction site and helps to significantly reduce re-work cost and the time delays that come with it. Powerful cloud computing supports collaboration in global teams and makes up-to-date BIM data accessible to everybody along the building life cycle. And finally, latest advancements in performance and quality of visualizing 3D as-build data, combined with immersion technologies like VR and AR and linked to asset data bases are providing intuitive access to owners, operators and users of a building. 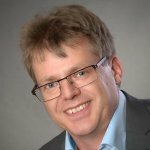 Arjen Adriaanse is currently responsible for developing and implementing the Arcadis Digital Strategy for Europe. Important aspects of the strategy are: BIM, Project Information Management, Data Analytics, Computer Generated Design, Smart Buildings, Smart Cities and Smart Mobility. Arjen Adriaanse holds a PhD from the University of Twente. He has published in journals such as Automation in Construction, Construction Innovation, and Journal of Construction Engineering and Management. He is an often asked keynote speaker and conference moderator. Arcadis is active in many GIS and BIM initiatives in the construction industry both from a client and contractors perspective. Many of these parties are struggling with streamlining the information flows in project environments (e.g., between databases and applications, between plan, design, construct and operate & maintain stages, and between projects). The fragmented information flows are causing all different kinds of problems like rework and high failure costs. Fragmented information flows also limit the opportunities for sustainable infrastructure development. Arcadis implements a solution to these challenges in more and more projects. This integrated 'Project Information Management Platform' can be used to integrate and use all kinds of (project) information, to conduct data analytics techniques and to reuse information in the different stages of a project and in other projects. In this presentation we will show some recent examples of this platform, some conditions and challenges of implementing these solutions and a roadmap towards a more advanced and sophisticated use. 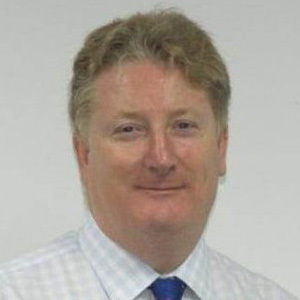 Adrian Burgess is the Technical director of PCSG and a subject matter expert in Building Information Modelling and construction industry information management systems. Drawing on more than 20 years’ construction industry experience with companies like Laing O’Rourke, Costain, Scott Wilson and URS, Adrian has a track history of successfully helping organisations with the definition and delivery of BIM strategies and managing supporting IT and business systems programmes. 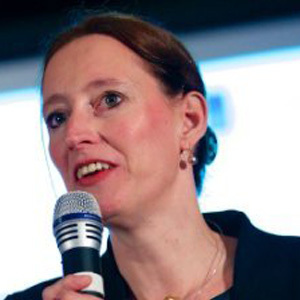 Jacqueline Meerkerk is director of the BIM Loket foundation. BIM Loket (BIM Gateway) aims at broader implementation of BIM in the Dutch building sector via open BIM standards. BIM Loket was founded in April 2015, in cooperation with knowledge institutes buildingSMART Benelux, CROW, Geonovum, SBRCurnet, STABU, S@les in de Bouw/ETIM and the Building Information Council (BIR). Jacqueline studied Geodesy at the Technical University in Delft and also Architecture (foundation course). 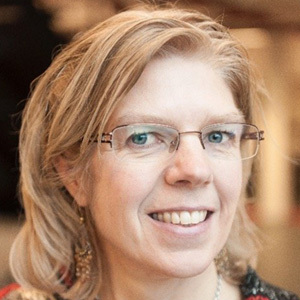 She has worked as a director for the Dutch Innovation Programme Space for Geo-Information, where she created cooperation between government, academic and business in an (inter)national network. Since over six years she has been working successfully as a businesswoman, serving clients via her own company on interim management. Jacqueline is a driving force to realize transitions in the field of (geo) information and the built environment, stimulating people to work together with a user-perspective. I am a full professor in Spatial Data Infrastructure, at the Faculty of Architecture and The Built Environment and I am leading the 3D GeoInformation group at the Department of Urbanism. I obtained my PhD degree (3D Cadastre) in 2004. For this work I received the Tienstra award. After my PhD I worked several years at ITC, University of Twente (2004-2009) and led there a research group on “automated generalisation”. I combine my professorship with jobs as researcher at both the Kadaster and Geonovum. I am chair of the EuroSDR Commission “Data Modelling and Processing” and leader of the national 3D SIG (Special Interest Group) as well as of the EuroSDR 3D SIG. Since March 2015, I am vice-chair of the OGC 3D Information Management Domain Working Group (OGC 3DIM DWG). In December 2016, I became a Principal Investigator at the Amsterdam Institute of Advanced Metropolitan Solutions. My research interests are 3D, automated generalization and information modelling. For my research on 5D data modelling I received the prestigious Vidi award of the Netherlands Scientific Foundation (NWO). In addition I received a Starting Grant from the European Research Council for my proposal Urban Modelling in higher dimensions (ERC). I am (co)author of over 350 academic and professional articles and appeared several times in regional and national media. I am a member of the editorial boards of several journals: CEUS, the Geography Journal and the International Journal of 3D Information Modelling. 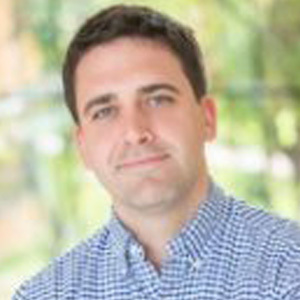 Brooks Patrick is an Account Executive and the 3D GIS Business Development Lead at Esri helping customers and partners, across local government and private sectors, understand and implement Esri's Enterprise 3D GIS software and solutions. Brooks is also a Landscape Architect and a frequent presenter at international conferences and workshops. As part of a team working with 3D GIS, he designs solutions able to simulate the impacts of scenario planning, enabling decision makers to meet or exceed project goals related to sustainability and storytelling. Brooks participates in selected projects to deliver client specific solutions utilizing his creativity, design thinking, and prototyping abilities. Cities rely on GIS technology to help them understand their environment, make informed decisions, solve problems, and build a better future. They apply GIS maps, data, and spatial analytics to achieve their policy goals and create positive change in industry and society. 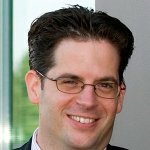 As GIS and spatial data techniques evolve, many organizations are discovering that the GIS experience of the future is mobile, time aware, scalable, user friendly, and grounded in immersive 3D. In this session, we will explore the GIS of the future as a 3D system of record and central point of organization—a model of the real-world environment that provides an engaging and intuitive interface for visualization, analysis, monitoring, and sharing. Recent technology advances in data collection—such as "reality capture" from drones or airplanes, building information models (BIM), commercial "street view" equipment, 3D photogrammetry, and Internet of Things (IoT) sensors—are creating massive amounts of rich 3D data that can be transformed into useful, actionable information. Utilities can more accurately model and map their infrastructure so they can plan maintenance and modernization activities. Facility managers can explore the total capacity of a building or campus to find the best way to accommodate current staff and future growth. Urban planners can determine whether a proposed development will fit within the existing urban context and contribute housing and jobs. 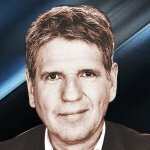 Dr. Citipitioglu has been involved in the design, construction and technical operations of several high-performance facility structures, from nuclear power plants, airport terminals, and high-rise buildings around the world. Working on several large airport projects at TAV, he leads the implementation of digital tools used at all phase of the built environment facilities - design through facilities management. 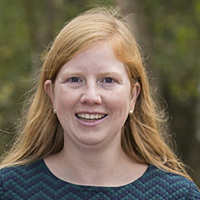 Hester van der Voort-Cleyndert started at the national Program on BIM at Rijkswaterstaat (Dutch national Road and Waterways Authority, Ministry of Infrastructure and Environment) in 2013. She is responsible for preparing the introduction of BIM in the maintenance contracts and planning phase contracts for Dutch national roads and waterways. Furthermore she is responsible for the contacts with the Building Industry and as such she participates in the Dutch Building Information Council. This Council consists of representatives of Public clients, Contractors, HVAC, Engineers, Architects and Product Manufacturers. 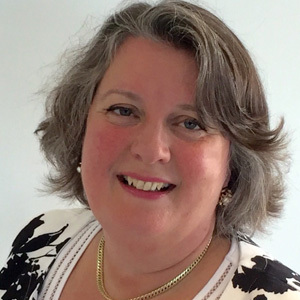 She is also member of the Steering Group of the EU BIM Task Group; a group of European public procurers, policy makers, and public estate owners from 16 European nations. Business information analist | member of the COINS technical management group Rene is a business information analist at ProRail’s IT department. His focus is (semantic) standards for information modelling and information exchange and the systems engineering method. Rene participates in the initiatives of the Building Information Council (Dutch: Bouw Informatie Raad). 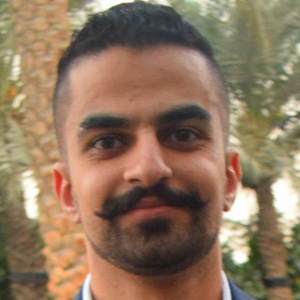 His goal is a seamless information exchange between (public) asset owners and (private) contractors especially in the engineering and construction phase in the lifecycle of an object. Formed as an architect, his interests and experience lie in technology, computational design and BIM. Passionate about the new digital technologies applied to design, nowadays he complements his activity as director of APOGEA and Co-director of the BIM International Master in Civil Engineering. Infrastructures and GIS by Zigurat Global Institute of Technology with the participation in the working group for the creation of the IFCRoad Extension in Building Smart International. 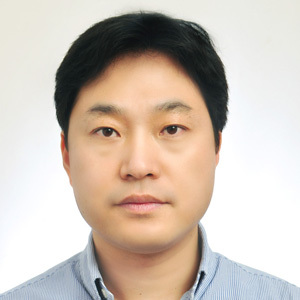 Mr. Sanghee Shin is an active promoter of open source, open standard and open data. His major interests include open source GIS, 3D GIS/BIM, environmental GIS and meteorology. Co-founder of Mapita works in project management and business development. 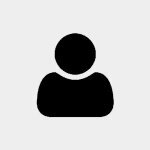 Works at the Aalto University as a part time postdoctoral researcher. Got her PhD in January 2016 in urban planning and public participation. Earlier education planning geography (University of Helsinki). Niall Gibson works as BDM for IES European Division. Niall studied Electrical & Mechanical Engineering at the University of Strathclyde in Glasgow before then studying an Msc Energy System in the Environment. 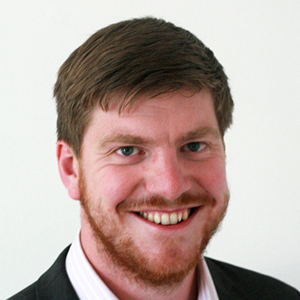 Before joining IES in 2011 Niall worked in leading consultancies in the UK, Elementa Consulting, Ingenium Archial. BIM expert holding a Master’s Degree in Civil engineering and Project Management. Expertise in BIM implementation including BIM management, BIM execution plans, BIM compliance, implementing new processes and technologies in design and construction projects, remote sensing, PAS 1192-2 specifications, modelling, and R&D. 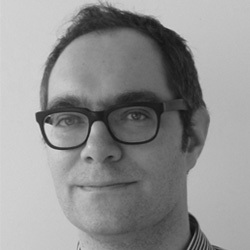 Olaf Schroth is a Lecturer in Landscape planning, specialising in developing and testing technologies for environmental modeling and landscape visualisation, particularly Geodesign, GIS, BIM and landscape visualisation. These are used to facilitate landscape planning processes as well as addressing current challenges to our landscapes, such as climate change, urbanization and emerging new energy systems. Peter is a GIS expert who works on research project related to geodata. I am an associate-professor in the 3D geoinformation research group, which is part of the Department of Urbanism of the Faculty of Architecture & the Built Environment at the Delft University of Technology in the Netherlands. For my research, I am particularly interested in combining the fields of GIS and computational geometry. Put simply, I often try to solve geographical problems—either in 2D or in 3D—by first decomposing the world into triangles/tetrahedra or into another tessellation such as the Voronoi diagram. My work involves developing topological data structures to store these tessellations, and designing algorithms to analyse and extract information from the datasets. I strongly believe in implementing my research ideas, all the code of my projects is freely available under open-source licences (mostly on GitHub). I am currently working, among others, on the storage and the analysis of massive TINs, the validation and the automatic repair of polygons and polyhedra as found in GIS, the higher-dimensional modelling of geographical information (ie 4D+), the smart simplification of LiDAR datasets, and the integration of IFC and CityGML. 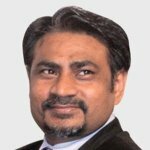 Having co-founded Geospatial Media and Communications, Sanjay has been responsible for its transformation and evolution to be a leading geospatial media organization making difference through geospatial knowledge and advocacy. He also co-founded Association of Geospatial Industries of India in 2008 and serves on Board of Directors of Open Geospatial Consortium since 2011. He holds a Masters in Political Science and M. Phil. in International Studies from the University of Delhi. Henk J. Scholten studied Mathematics and Geography at the VrijeUniversiteit Amsterdam and obtained his Ph.D. on the subject of models for housing allocation at the Faculty of Geography of the University of Utrecht (NL) in 1988. Since 1990 he is professor in Spatial Informatics at the Faculty of Economics of the VrijeUniversiteit Amsterdam and Director of the Spinlab (www.spinlab.vu.nl). Prof. Scholten is founder and CEO of Geodan, one of the largest European companies specialised in Geospatial Information Technology (www.geodan.nl). 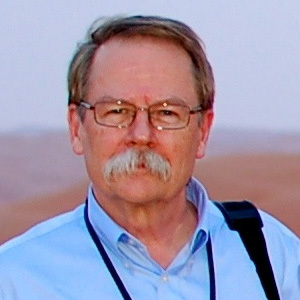 On Friday April 29th, 2005, Prof. Scholten received a Royal Decoration for his significant contribution to geo-information, both on a national and international level. 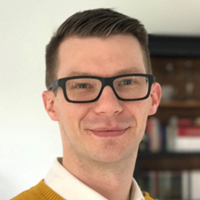 Jack is currently the International Business Development Manager for BSIs Built Environment portfolio within the Product Certification business stream. This portfolio covers construction products and digital construction such as Building Information Modelling. Jack manages our sales performance for both our certification and testing services to clients based outside the UK, working closely with our many different international hubs and offices to ensure our clients expectations are satisfied. BSI's Product Certification Built Environment sector services includes; Kitemark Certification, CE marking, Keymark, Watermark, Benchmark and Direct Testing services. Providing support directly to our clients as well as our vast global network, Jack travels extensively to our key regions to achieve this. As the sole International Business Development Manager within our Built Environment sector, Jack has the sole responsibility of delivering excellent customer service to our many clients around the globe, ensuring their expectations are met and that BSI are continually developing their certification offerings to satisfy the markets they operate in and deliver their products/services to. Jack is currently involved with the development of new Kitemark schemes to support with the implementation of digital technologies in the Built Environment sector, such as Building Information Modelling (BIM). Jack has delivered speeches in Iceland, China, India and Taiwan on BIM, the importance of this increased collaborative approach for the Construction industry, the benefits of using BIM on all construction projects and how BSI can support with the implementation and certification of BIM processes and procedures. 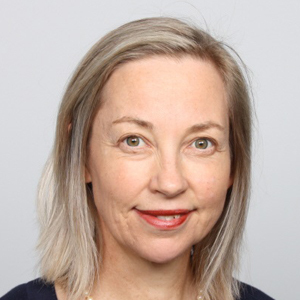 Jennifer Oldfield recently published an article on a GeoBIM topic in the ISPRS International Journal of Geographic Information special issue "Research and Development in 3D Cadastral Systems" with co authors T.F. Krijnen (TU Eindhoven), Jakob Beetz (then TU Eindhoven) and Peter van Oosterom (TUDelft). In the past she has worked as translator for Geonovum on projects such as the CityGML domain application and the CB-NL. She currently works as an information advisor and GeoBIM specialist for the Gobar Consulting Group. Sweco is Europe’s leading architecture and engineering consultancy. Sweco plans and designs the communities and cities of the future. The results of our work are sustainable buildings, efficient infrastructure and access to clean water. Henri Veldhuis has a M.Sc. in Geodetic Engineering from the Delft University of Technology. 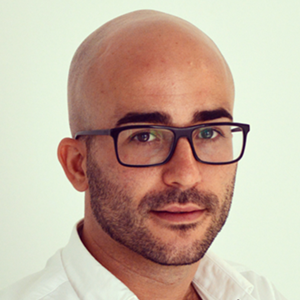 As Business Development Manager Henri is responsible for creating new software solutions for Sweco based on our expertise. Henri is particularly interested in the opportunities Virtual Reality offers to create Smart City solutions. 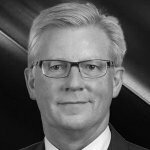 Geoff Zeiss has more than 20 years' experience in the geospatial software industry and 15 years' experience developing enterprise geospatial solutions for the utilities, communications, and public works industries. His particular interests include the convergence of BIM, CAD, geospatial, and 3D. In recognition of his efforts to evangelize geospatial in vertical industries such as utilities and construction, Geoff received the Geospatial Ambassador Award at Geospatial World Forum 2014. Currently Geoff is Principal at Between the Poles, a thought leadership consulting firm. From 2001 to 2012 Geoff was Director of Utility Industry Program at Autodesk Inc, where he was responsible for thought leadership for the utility industry program. He received one of ten annual global technology awards in 2004 from Oracle Corporation for technical innovation and leadership in the use of Oracle. Geoff is a frequent speaker at geospatial and utility events around the world including Geospatial World Forum, Where 2.0, MundoGeo Connect (Brazil), Middle East Spatial Geospatial Forum, India Geospatial Forum, Location Intelligence, Asia Geospatial Forum, and GITA events in US, Japan and Australia. Geoff received Speaker Excellence Awards at GITA 2007-2009. 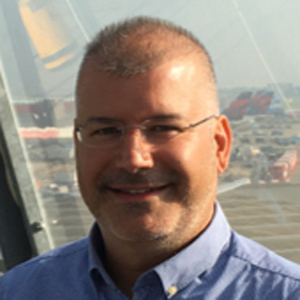 Bart De Lathouwer is responsible for planning and managing interoperability initiatives such as testbeds, pilots and interoperability experiments with an emphasis on activities in Europe. 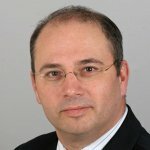 Since 2001, Mr. De Lathouwer has worked first as European liaison to the geospatial division of Autodesk and later as Autodesk's Product Manager for Server Technologies. In this role, he also served as member company representative to the OGC. As a company representative, he started the OGC CAD-GIS Interoperability Working Group (which evolved into the OGC 3DIM Domain Working Group) and managed the development of a core data access technology FDO (Feature Data Object) that later went open source in OSGeo. After returning to Europe, he worked as a geospatial expert for both private and government organizations focused on interoperability. Previously, Mr. De Lathouwer was technical project manager at electric and water utilities as well as telecommunication companies. He holds a BS in Computer Science from the Karel de Grote-Hogeschool. Gert-Jan Burgers is full professor in Mediterranean Archaeology at the Faculty of Humanities of the Vrije Universiteit Amsterdam (VUA). He is also director of CLUE+, the VUA interfaculty research institute for Culture, Cognition, History and Heritage, with approx. 350 staff members from various fields of science. Prior to that Burgers was director of the Royal Netherlands Institute in Rome (2012-2013) and Head of the Heritage and Ancient Studies departments of the same institute (2006-2013). In these capacities, Burgers' mission has been to bring together researchers from a wide variety of academic disciplines, to jointly investigate scientific and societal challenges and to formulate strategies for addressing those challenges. As a founding partner of BIM Academy – a company dedicated to the transformation and optimization of the various BIM profiles, the consultancy for BIM's experiential implementation in companies and the creation of BIM events – is the creator and content director of the European BIM Summit. Pérez Arnal belongs to several organizations: the Commission Build the Future (CCF) sponsored by ITeC and the Commission of the Spanish National Strategy esBIM. He has been speaker at the EUBIM 2013 and 2014 conferences, is Director of the Executive BIM Program for Owners and Developers of eZigurat; Is Director of the BIM PCM Master of the University of Cantabria, of the Masters BIM Applications in Historical Heritage of the University of Burgos and of the Urban Master of the Ecole des Ingenieurs de la Ville de Paris in its Spanish edition. 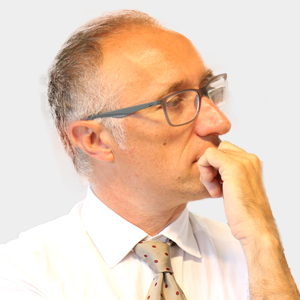 "Senior Visiting Professor" of the Dipartimento di Architettura e Pianificazione (Progettazione Territoriale Urbana Ambientale-PTUA) of the Università degli Studi di Sassari with headquarters in Alghero (Sardinia, Italy) and Director of BIM courses for Engineers (CETOP) and for constructors (Foundation Labor of the Construction). 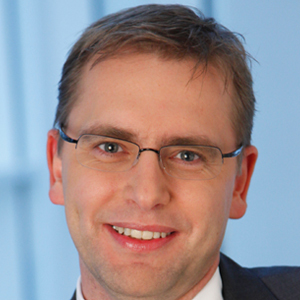 Jan Schoenig is Director for Urban Development & Smart Cities in the Siemens Global Center of Competence Cities. In this role, Jan is responsible for the strategy, partner relations, program management and business development in the area of solutions for smart cities' infrastructure. 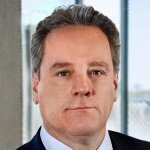 Jan began his career with Siemens in 1997 and has gained a broad knowledge base on a wealth of experiences both operational and strategic over the past 20 years in a variety of national and international assignments, projects and management responsibilities. Key former responsibilities include Business Development of large scale infrastructure projects in the context of Major Events, Head of Corporate Development of Siemens in Qatar for four years and Unit manager of the Siemens IT Solution Unit for two years in France. So-called "smart cities" will be characterized by power grids that will be able to balance electricity supply and demand. This will start with buildings that learn occupants' energy needs, integrate vehicle batteries into their energy forecasts, respond to changing weather conditions, and automatically alter their behavior to maximize their efficiency. Siemens is involved in all of these areas. The world's most advanced buildings have brains – a kind of central nervous system that balances and reconciles competing interests such as energy minimization, occupant comfort, and grid stability. Siemens has already developed a building automation system that accomplish this. It is the first management station that allows all building systems to be integrated into a single platform that can be operated intuitively: Fire protection, heat, ventilation and climate control, lighting, video surveillance — all of a building's systems are still usually controlled separately today. Our management station brings all of these systems together for the first time and also displays the status of each in real time. Staff therefore only have to be trained to use one system, which is just one of the reasons why the Siemens management station has already been installed in many office complexes, schools, hospitals, and shopping centers, as well as at several airports. Despite this success, the standard features of the new management station are just the beginning, as our management system already forms the core element of numerous Siemens developments that make buildings "smart" — and will do the same in the future for entire urban districts as well. Leverage the power of Big Data from analysis to prediction and finally to prescription. 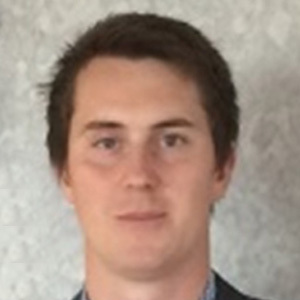 Tom leads WSP's Digital Highways strategy and is responsible for BIM development across WSP's UK Civil Bridge and Ground Engineering division, overseeing the application of BIM and digital technologies in the delivery of projects of all scales. In September he submitted an Engineering Doctorate in Effective Implementation of BIM for Highway Projects. Tom sits on the ICE BIM Action Group and the PAS 1192-2 Steering Group and helped launch dotBuiltEnvironment, a new network for young professionals promoting digital innovation collaboration across the built environment industries. Excited by the scale of opportunity that digital technologies bring, Tom's interest is in the structural and cultural changes required in order to unlock the promises of innovation for the transportation sector. Highway projects, like many linear infrastructure projects, can span many kilometres with few notable features to help the link the design information to the "to-be" state that design outputs represent. This case study presents how WSP used tablets and GPS positioning bring the relevant design information to engineers on site helping to answer "where am I and which part of the model should I be looking at?" The simple and a cheap implementation meant that engineers did not need to bring drawings with them, saving a three hour round trip, and could improve the validation of design information without needing to close the roads for additional surveys. Where are we now and what's coming next? Graeme will discuss where technology is now in terms of integrating geo and BIM data and visuals, how it's being applied on real projects and the benefits it's bringing to those projects. But what's coming next? How will these technologies evolve and revolutionise the industry, beyond construction and into asset management? Graeme will look at the integration of point clouds, beacon data, models and data to streamline processes, improve the knowledge users have about their assets and the effectiveness, predictability and efficiency in managing those assets. Dale Sinclair is AECOM's Director, Technical Practice, Architecture, EMIA. He has delivered many large scale projects and is passionate about developing innovative design processes using new construction methodologies and digital technologies. 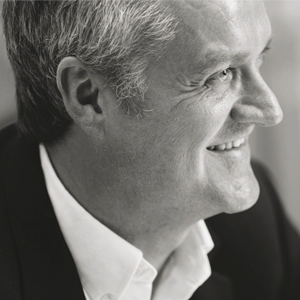 He authored the RIBA Plan of Work 2103 and it's supporting publications, has published a number of design management books and is currently authoring a book that redefines the lead designer role for the digital age. He is the CIC BIM champion and regularly speaks on the RIBA Plan of Work 2013, BIM and on the future of the built environment industry. 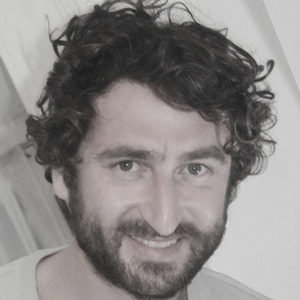 Maarten Meester founded his architecture firm NØRD Amsterdam in 2011. An interdisciplinary design agency for interior and architecture that works on a wide variety of projects, both in terms of scale and function. Maarten Meester believes the responsibility of the architect extends beyond the role of (spatial) designer alone. As an integrator, communicator and inspirer the architect seeks to maximize a project's potential. Using drawings, sketches and (computer) models the architect has a firm set of (communication) tools at his disposal to act as a linking pin between all parties involved in a project. NØRD is currently working on a brewery in Weesp, an architectural vision for the Dutch National Police, a new work environment for the public prosecutors' office in Haarlem and the Galileo Reference Center in Noordwijk (together with the ArchitectenCie). Recently, NØRD (in collaboration with Naomi Schiphorst) has made a preliminary design for a housing complex in the 'Buiksloterham'. This area is situated in Amsterdam North, a district that has traditionally consisted of an organically grown mix of housing, light-industry, harbor and recreational facilities. This unplanned, somewhat muddled character of Amsterdam North makes this district considerably different from the other districts within the city of Amsterdam. Now, with the financial crisis at an end, the conventional developers are ready to fill this distinctive district with uninspiring, exchangeable apartment buildings disregarding its unique context. To ensure our proposal would fully comply with the needs of the area we conducted an extensive survey to obtain a clear view on all specific demands from the people who work and live in the direct surroundings. The dialogue with the people of the area showed that there is enormous creativity and diverse needs in the community, to which we feel necessary to do justice in the housing complex. Therefore, instead of designing one uncompromising building, we have designed a clear structure and framework as the foundation for user-initiated organic development. In this way, we believe the unique features of Amsterdam North, the vitality, diversity, but also the 'muddled' character will remain intact. In the INSPIRE context the Keyregistry of the Subsurface of the Netherlands can be seen as a "reference data theme” as it provides information for several other INSPIRE data themes e.g. Mineral resources; Area Management, Restriction and Regulation Zones; Natural Risk Zones; Soil; Energy resources, Geotechnical properties. In Geology there is a specific relationship with one of the most important natural resources, water, through groundwater bodies contained in aquifers. The theme also covers geomorphology that describes the Earth’s present-day surface, and the location of the geophysical campaigns and measurements that provide valuable information on the physical properties of rocks (like density, porosity, magnetic susceptibility, etc.) regardless of their organization as geologic units. A key requirement for BIM is the integration of CAD and GIS into a single framework. For this integration to be useable, it is not sufficient to simply provide shared storage for 3D data, but it is necessary to build an IT infrastructure, which can overcome the semantic differences in the subsystems. This presentation looks at how various implementation projects across Europe have addressed this challenge and how in these solutions geospatial data are made available to a broad variety of client systems beyond CAD systems and GIS tools. We will cover integration on different levels – data integration, process integration and application integration – and will briefly touch on the benefits of cloud computing for these combined CAD and GIS platforms. Kyra Romero is an architect and urban researcher from Spain, who has been working in the Netherlands for almost two years before coming to Barcelona to start her PhD. As an architect she has worked on participatory projects, housing, landscape and exhibition spaces. As a researcher she focus on the Urban implications of Cultural Centers, Networks and Industrial Heritage. She has presented and develop her work in multiple international workshops and conferences across different countries including Spain, Portugal, The Netherlands and most recently China. In this case Kyra Romero will introduce a Participatory Platform to raise awareness and improve city decision making towards heritage architecture. 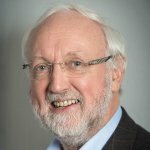 Peter Nijkamp is Emeritus Professor in regional and urban economics, and in economic geography at Vrije Universiteit Amsterdam. From 2009-2015, he was Honorary University Professor at the same university. He has been president of the governing board of the Netherlands Research Council (NWO) (2002-2009). He is also former president of the European Regional Science Association and of the Regional Science Association International. He is fellow of the Royal Netherlands Academy of Sciences, and former vice-president of this organization. In 1996, Peter Nijkamp was awarded the most prestigious scientific prize in the Netherlands, the Spinoza award. The urban world is showing revolutionary trends, not only in terms of complex dynamics or evolutionary morphology, but also in terms of new urban analytics and adaptive decision suppoert tools for cities. The paper will offer a microcosmic perspective on urban systems based on Simon's hierarchical decomposition principle. (reflected inter alia in the so-called PIAZZA model for the city). In the jetstream of this approach, the paper will zoom in on two mutually complementary, analytical geo-science tools, viz urban analytics and interactive city dashboards for urban planning. Various empirical illustrations will be provided as well. 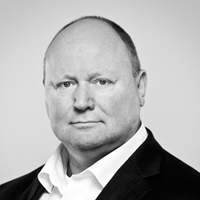 Alexander Worp (1971) over 20 years of experience in real estate sector. From supervising construction to Project manager of complex renovation projects in city centers. Now working for Amsterdam Airport Schiphol (AAS) at Asset Management for almost 7 years as Strategic Advisor Asset Management. For the past 4 years working on implementing Building Information Management (BIM) at AAS. 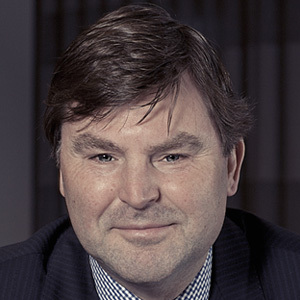 Vice Chairman of the board of buildingSMART Benelux since June 2017. Started the user group 'Airport Room' in 2016 as part of the BuildingSMART international organization, because of the believe that the open standard (IFC, BCF etc.) will help user to work more efficient and effective at Asset Management Schiphol. More successful asset management is only possible through collaboration with all stakeholders throughout the entire lifecycle. by exchanging structured data (open data standards) that can be validated and verified. Noud Hooyman studied applied mathematics and information technology at the Technical University of Delft, the Netherlands. 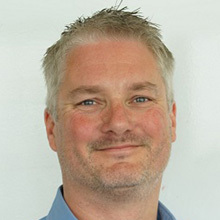 He leads the department for geo information in the directorate for Spatial Development, which is the coordinating directorate in the field of geo information in The Netherlands. He is therefore responsible for the geo-information policies in The Netherlands. Important programmes for which Noud is the senior responsible owner are for example the Key Geo Registers, INSPIRE, the national distribution facility for geo-information (PDOK), the catalogue National Geo Register (NGR) and the programme for open and linked spatial data. The Ministry of the Interior is the coordinating ministry in the field of geo-information. The Dutch Vision and Implementation Strategy on Geo-information (GIDEON) states the goals in the field of Geo-information in the Netherlands. With programmes on Key Geo Registers ((Addresses, Buildings, Cadastral Information, small- and large scaled Topography and Subsoil) the ministry contributes to standardized national datasets on important and broadly used themes. These Key Geo Registers are also part of the National E-Government programme. With the programme on the implementation of the European Directive INSPIRE and the realization of the national distribution facility PDOK and its catalogue NGR (National Geo Register) the availability of geo-information is improved and by additionally making data in the domain of spatial data as open as possible, barriers to use the data are removed even further. Sisi Zlatanova is an associate professor at Faculty of Architecture, the Delft University of Technology, the Netherlands. She has been working in the area of 3D geo-information for more than 20 years. 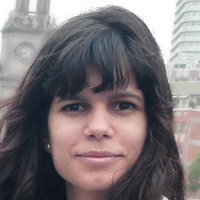 In recent times her research has concentrated on 3D indoor modelling, integration of BIM and 3D GIS, context-aware, user-tailored indoor/outdoor navigation and investigation of voxel representations for integrated 3D analysis. She has been leading several projects such as on 3D data integration for the Port of Rotterdam, Smart 3D indoor models to support crisis management in large public buildings. 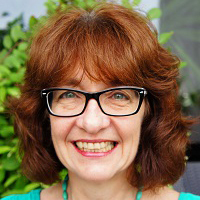 She is an author and co-author of more than 350 papers, an editor of several books related to 3D geo-information and disaster management, chair and co-chair of several conferences and workshops. She is president of ISPRS Technical Commission IV 'Spatial information Science' for the period 2016-2020 and a co-chair of OGS SWG IndoorGML. 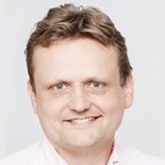 Johan is Business Development Manager for Europe at IES, market leader in building simulation. He studied mechanical engineering in France (Ecole Polytechnique de l'Université de Lorraine), conventional and renewable energies in Germany (Karlsruher Institut für Technologie), and finally building physics and sustainable energies in Denmark (Danmarks Tekniske Universitet). He promotes building energy simulation and IES Virtual Environment technology by helping architects and engineers implement energy modelling and BIM4Analysis strategies. In 2015 I defended my PhD thesis "Interactive geodesign tools for regional adaptation strategies". During my PhD I have developed and evaluated spatial decision support tools. I have organized multiple workshops where stakeholders were gathered around an interactive mapping device, "Touch Table". I have a broad background in environmental sciences and physical geography. Currently I am Application Manager of GIS software and geodesign advisor at Rijkswaterstaat. A geodesign visualisation was set up to support infrastructure maintenance planning at Rijkswaterstaat (RWS), which is the executive agency of Dutch Ministry of Infrastructure and the Environment which oversees maintenance of roads and waterways around the country. Using Geodesign for infrastructure maintenance planning is seen as a new opportunity to include geographical relations in planning and to communicate planning with other stakeholders. RWS has divided his maintenance planning over different regions in the Netherlands. In this study a geodesign visualization was developed that focused on maintaince planning of bridges and roads in Oost-Nederland. RWS uses a multi-criteria method to establish the interventions that should be performed. The maintenance planning results that RWS established were plotted on a map. Stakeholders from RWS with different backgrounds visually compared the interventions with predefined risk assessments and environmental maps such as noise and air quality. In addition stakeholders could draw and add icons to the map to express their findings and adjust the maps.